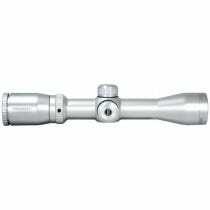 Handgun scopes, like all gun scopes, exist to help you maintain the last bit of accuracy you can with whatever gun you are using. You’ll need to consider several different things when choosing a scope. What type of gun are you using? All models of guns have different styles of scopes, so first off, you need to know what type of gun we’re taking about. What are you using the gun for? Using a gun for target practice as opposed to hunting for geese will make a huge difference in the type of scope you want to choose. For handgun scopes, there are several things you’ll want to consider before choosing which one you use. One is where are you shooting from? Are you shooting over a stand or on the ground? What is the maximum distance you’ll be shooting from? The answers to these questions will determine what type of scope you’ll want to look for. It does take some getting used to having a scope on a handgun. Any wobbling or shaking from holding the gun in your hand will be exaggerated by having a scope attached. Because of this, some of the advantages a scope give you on a rifle do not translate to a handgun. However, they can still be helpful with practice.